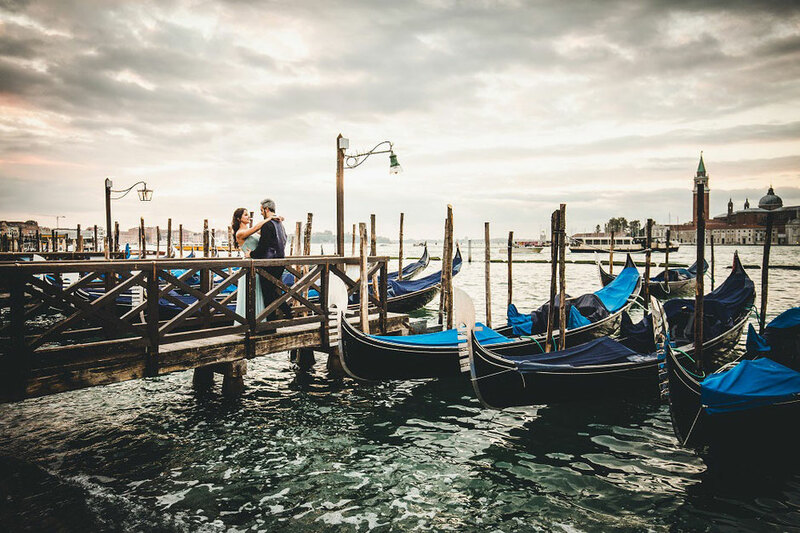 Sometimes weather is not fair but Gracia and Lorenzo had to leave Italy and going back to Spain the day after and it was not possible to schedue another day for their pre wedding photo session. 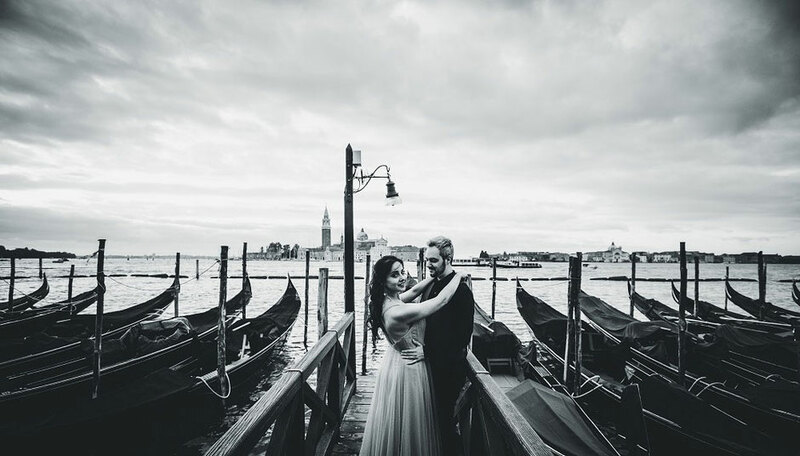 Neverthless rainy days in Venice have their own charm and, despite the bad light, we were able to make impressive shots! 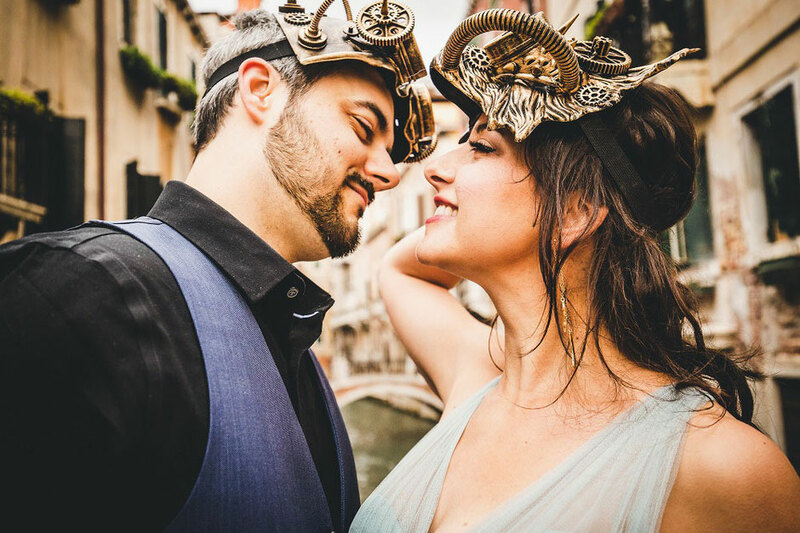 Gracia and Lorenzo met each other five years ago and it was love at first sight! 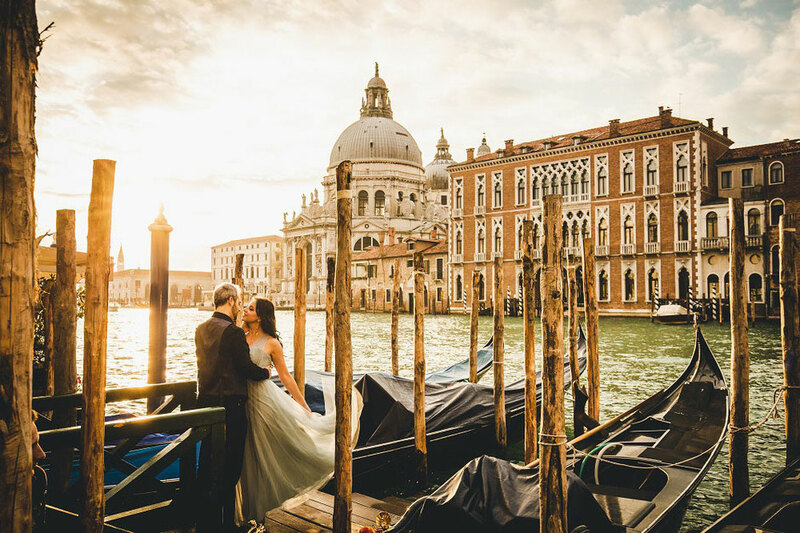 Both of them love Venice and decided to have a photoshoot in this stunning floaating city. This young cople woke up very early, she had her makeup and hair by Lisa Semenzato which made an amazing job creating the best version of this beautiful girl and she wore a beautiful dress. SHe was stunning! We start shooting around 7 am, a little earlier than sunrise and we started from San Marco square which with its bizantine architecture made shots so unique. What I loved about this guys was that it was very easy to take natural pictures because they didn’t need to pose at all. 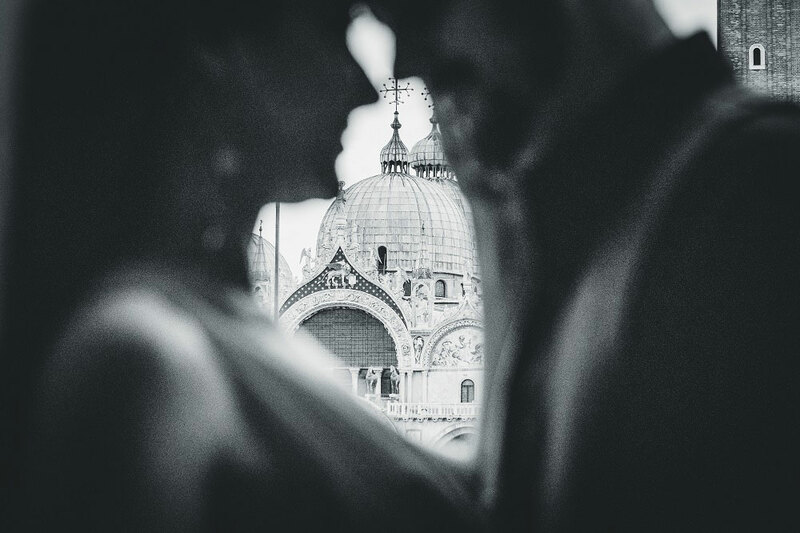 Their love was so strong that they stop looking at the beuty of Venice hugging and kissing because they couldn't stay away from each other., and caputring the moment was so easy! And this is the most lucky thing that can happen to a photographer!! We walked around streets and brideges and the city was empty of turists which create the ideal setting. Complimenti gran belle foto...siete bellissimi! !